The River Welland begins its life as a humble stream in the Hothorpe Hills near the village of Sibbertoft in Northamptonshire. It quietly flows through rolling countryside towards the bustling town of Market Harborough, where it crosses the central shopping area providing a peaceful place to relax. From here the river continues eastwards, opening up into a broad, flat valley where it has been overlooked by the impressive Rockingham Castle for almost 1,000 years. A few miles downstream, one of the Welland Valley’s most recognisable features, the Harringworth Viaduct, carries the Oakham to Kettering railway line. Completed in 1878 and spanning almost 1.2km with 82 arches, it is the longest masonry viaduct across a river valley in the UK. 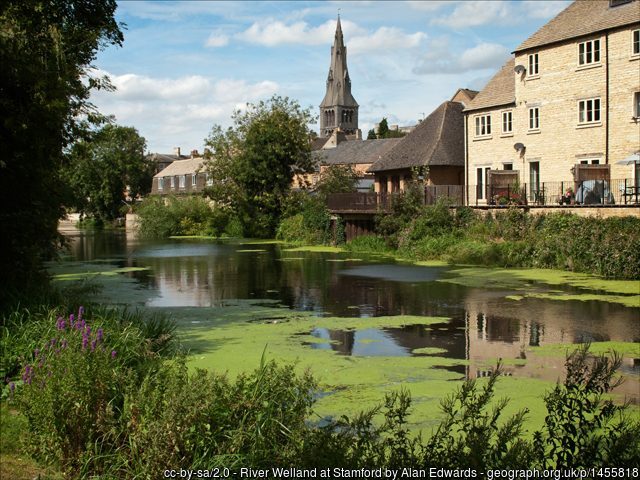 The historic market town of Stamford is the next major destination for River Welland where it is a much loved asset, flowing through the popular Town Meadows, site of numerous festivals and celebrations every year. After Stamford, the River Welland takes on a different character becoming a deepened, widened channel and one of the four main rivers to drain The Fens, alongside the Nene, Ouse and Witham. The last population centre the River Welland greets is the town of Spalding, where tidal influence is met with a large sluice and sea lock to keep the town from flooding. Finally, at Fosdyke, saltmarsh meets the extent of drained agricultural land and guides the River Welland into The Wash.
Hothorpe Hills, source of the Welland. 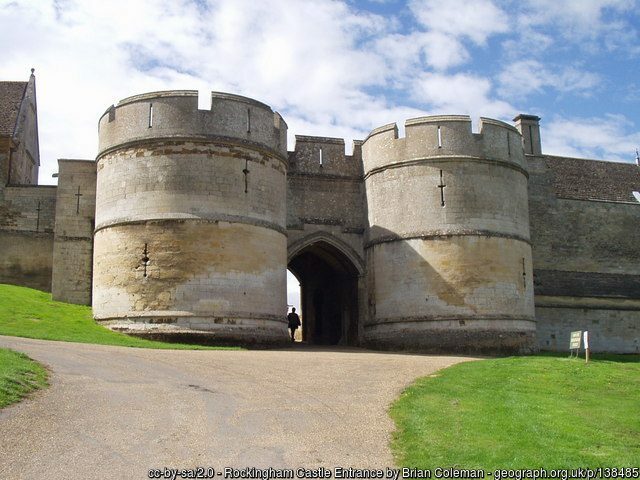 The entrance to Rockingham Castle. 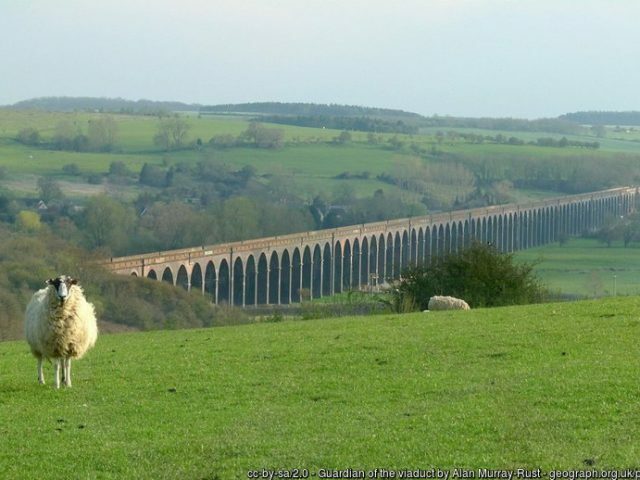 The Harringworth Viaduct spans The Welland Valley. 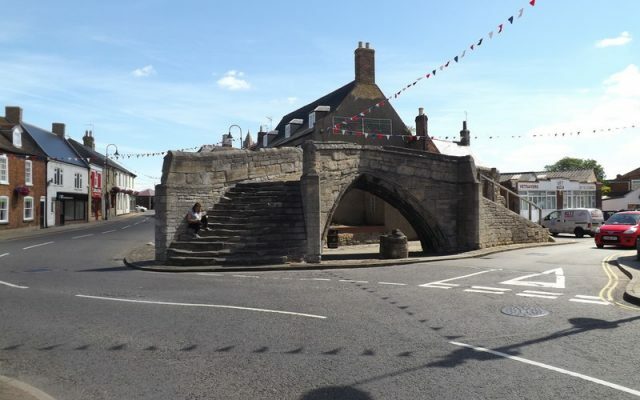 Trinity Bridge in Crowland used to span a confluence of the Welland. 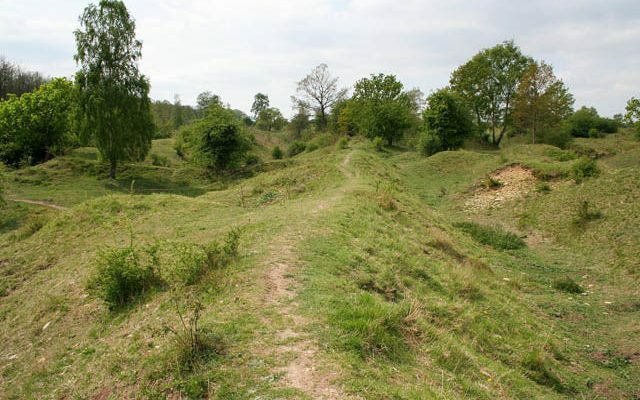 The old limestone quarry at Barnack is now a National Nature Reserve. 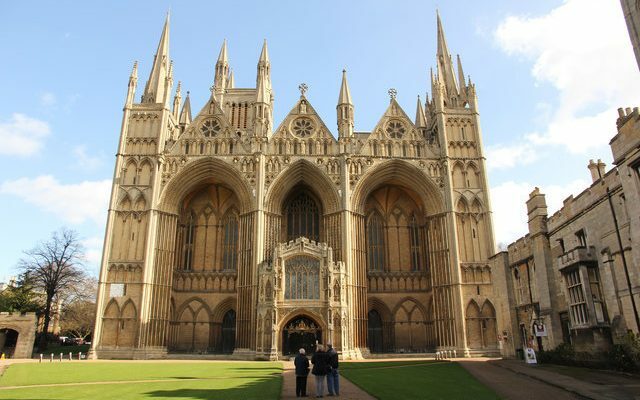 Stone from the Welland Valley was used to build Peterborough Cathedral. 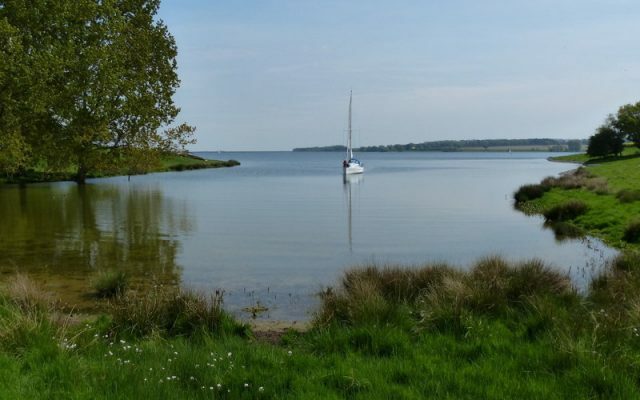 Once controversial Rutland Water now provides a regional centre for nature and water sports. The recorded history of The Welland Valley stretches back thousands of years, from Stone Age remains at the edge of The Fens and Roman settlements at its river crossings to a unique medieval bridge at Crowland now far from the modern day course of the Welland. Limestone quarrying at Barnack began with the Romans and continued until the 1700s, contributing towards the development of medieval Stamford and most notably, the construction of Peterborough and Ely cathedrals. 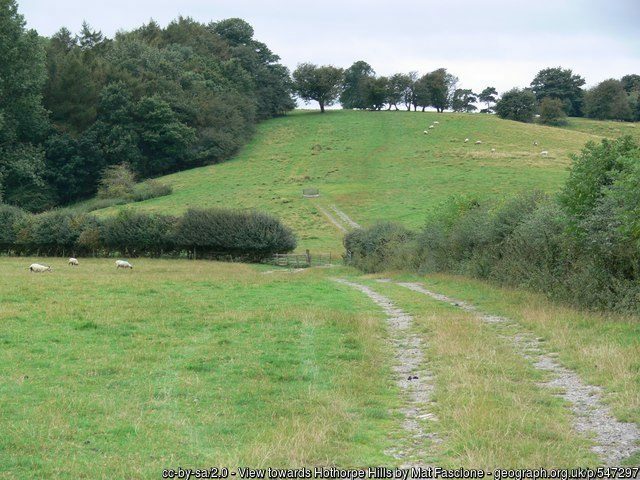 More recently, The Welland Valley was famous for fattening beef destined for London’s Smithfield Market through the 1800s and into the 1900s, its water resources became increasingly important. In the 1930s, the Eye Brook reservoir provided water for the development of the steel industry in Corby and then from the mid 1970s, the catchment hosted a controversial new reservoir, Rutland Water, to supply the expanding towns of Peterborough, Milton Keynes and Northampton to the south. The natural character of the lower river was lost centuries ago when The Fens were drained for agriculture and that of its middle reaches dramatically altered in the 1960s by land drainage schemes which widened, straightened and lowered the river bed to enable the floodplain to be converted to intensive agriculture. The re-connection of water, people and nature has now begun in the Welland Valley, as it has in many parts of Britain. 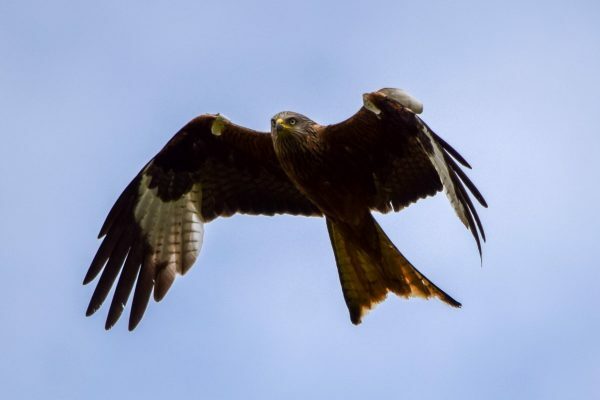 The middle Welland is the only place in the country where one might see both Osprey and Red Kite wheeling in the skies at the same time, as a result of successful re-introductions. 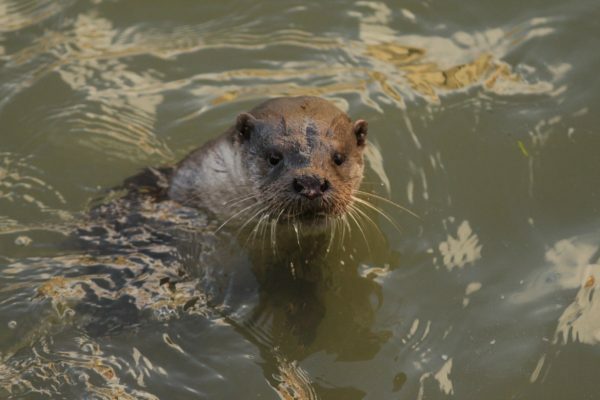 Elsewhere, otters have returned much to the delight of local people and small pockets of reclaimed agricultural land are being re-wetted for people and wildlife to enjoy. 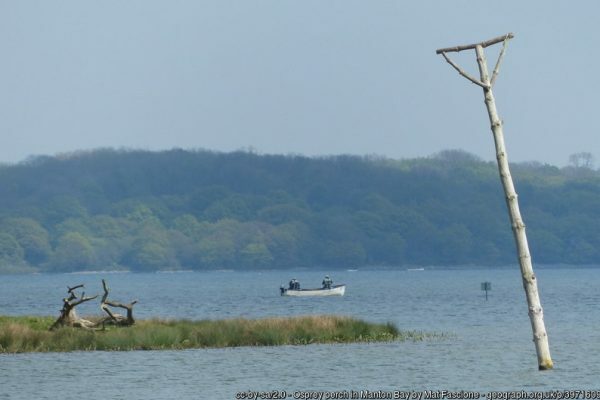 Perches for re-introduced Osprey at Rutland Water. Otter sighted in Market Harborough town centre. 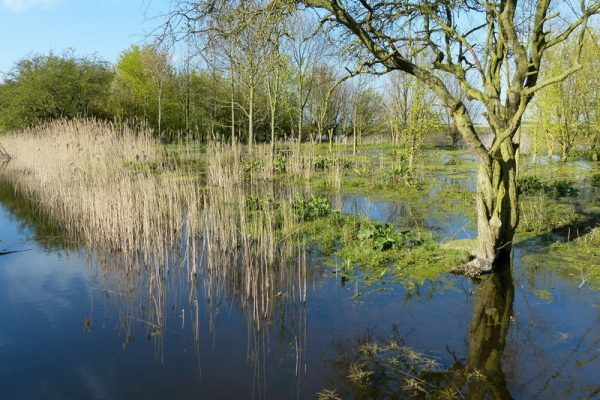 Re-creation of fen habitat at Willow Tree Fen. A red kite soars over the Welland Valley.